Feel the pressure with this practicing routine! Select a number and the duration of the session and track each hit. As the number of hits in a row increase the pressure to not miss with three darts grows. When you are getting close to the end of the session and your score is high there's no room for missing with three darts. If you’ve never felt the pressure during your practice, what will it feel like when your up for a real game? The Thriller App is exclusive for Premium members! The Thriller application was developed after the introduction of the Premium membership and is therefore exclusive to Premium members. 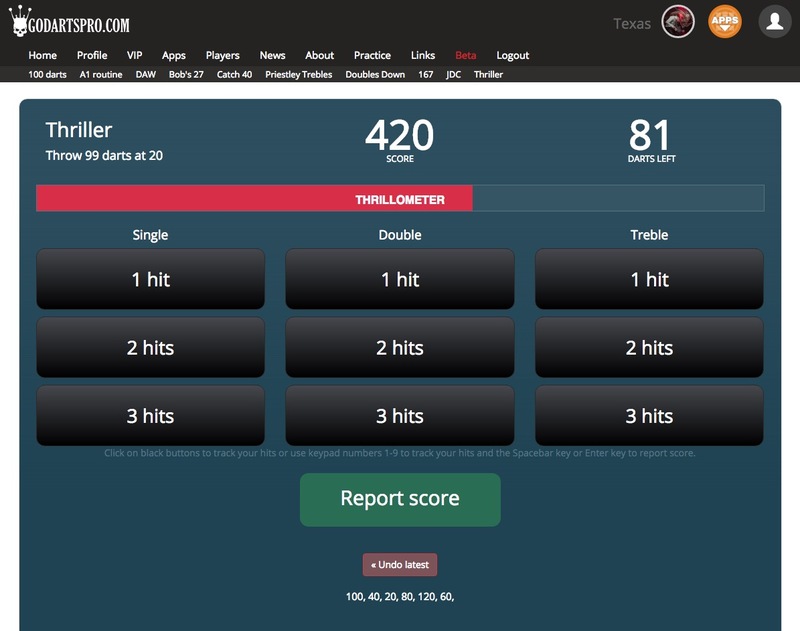 Click on buttons above to track your hits or use keypad numbers 1-9 to track your hits and the Spacebar key or Enter key to report score.